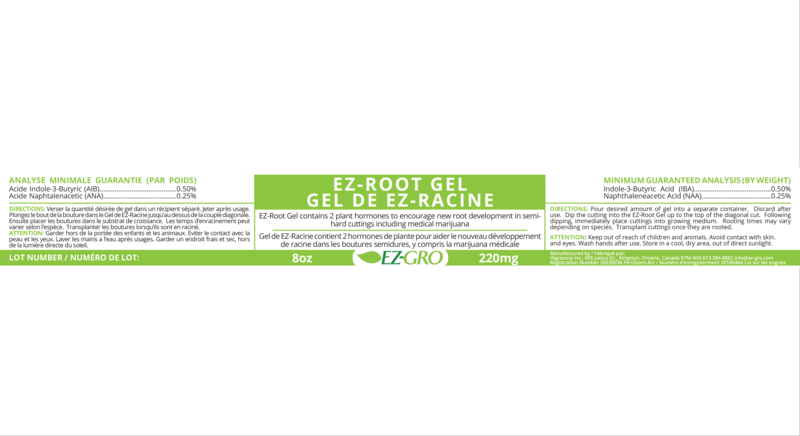 EZ-Root Gel is a plant biostimulant rooting gel containing potent growth regulators IBA and NAA. Indole-3 butyric acid (IBA) and napthaleneacetic acid (NAA) are growth-promoting phytohormones known as auxins. Together these compounds stimulate root formation and result in improved rooting percentage, higher number of adventitious roots per cutting and an increased dry weight of roots. Apply EZ-Root Gel to significantly enhance your crops roots and transplant success.